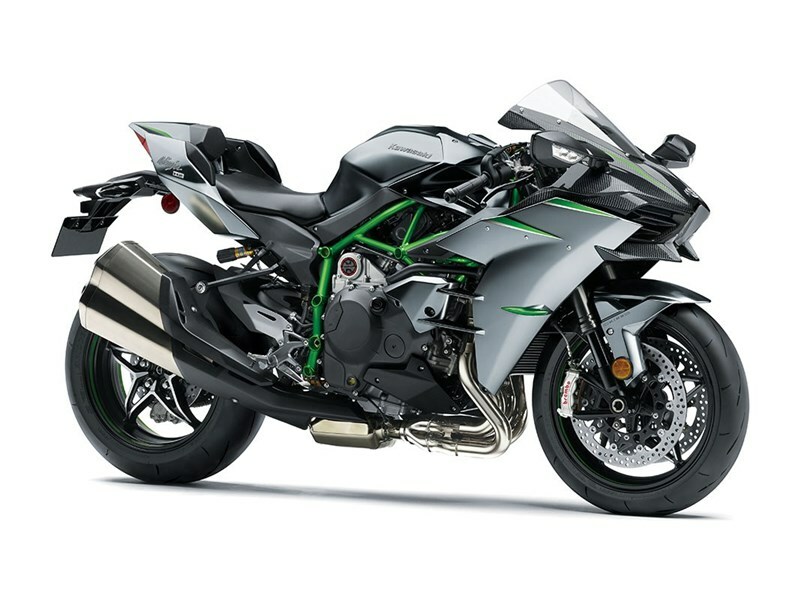 For 2019, key updates include a more powerful engine, new TFT color instrumentation, smartphone connectivity, highly durable self-repairing paint* and Brembo Stylema® calipers. 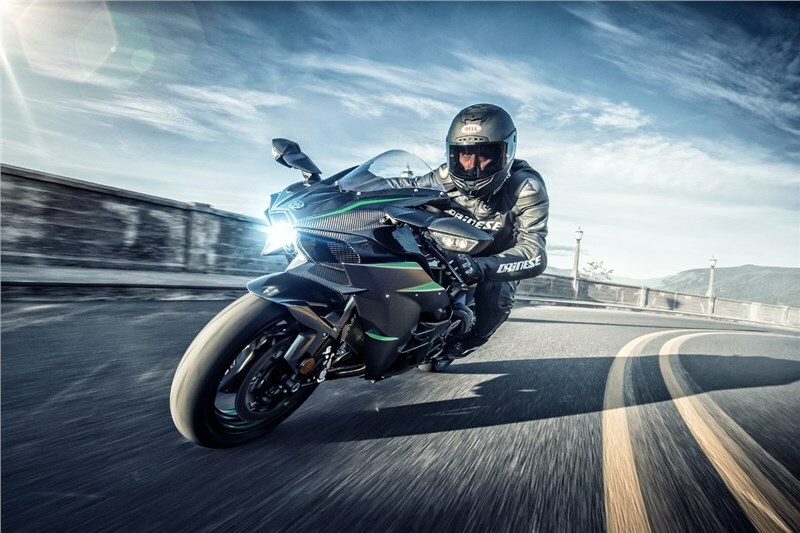 A special edition model with limited global production, the Ninja H2 Carbon stands out with a carbon fiber upper cowl and Mirror Coated Matte Spark Black/Candy Flat Blazed Green paint. 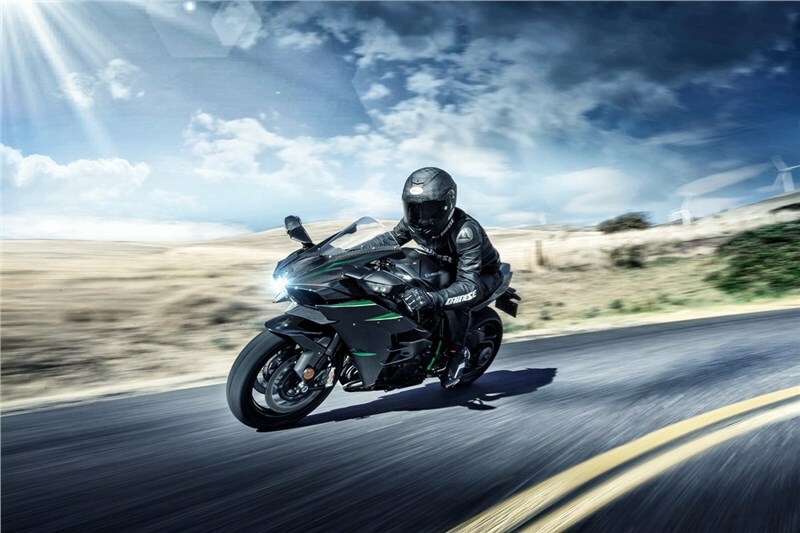 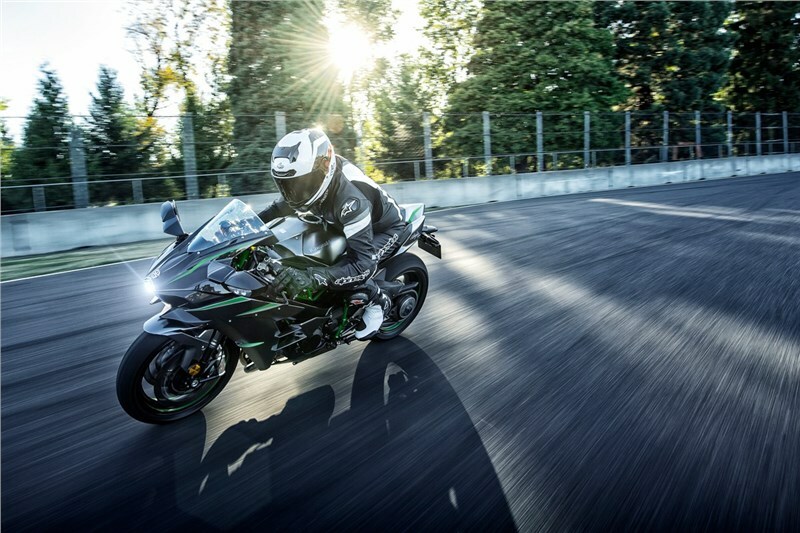 ​IMMENSE POWER ​The Ninja H2™ Carbon streetbike's supercharged engine creates unprecedented power for remarkable acceleration. 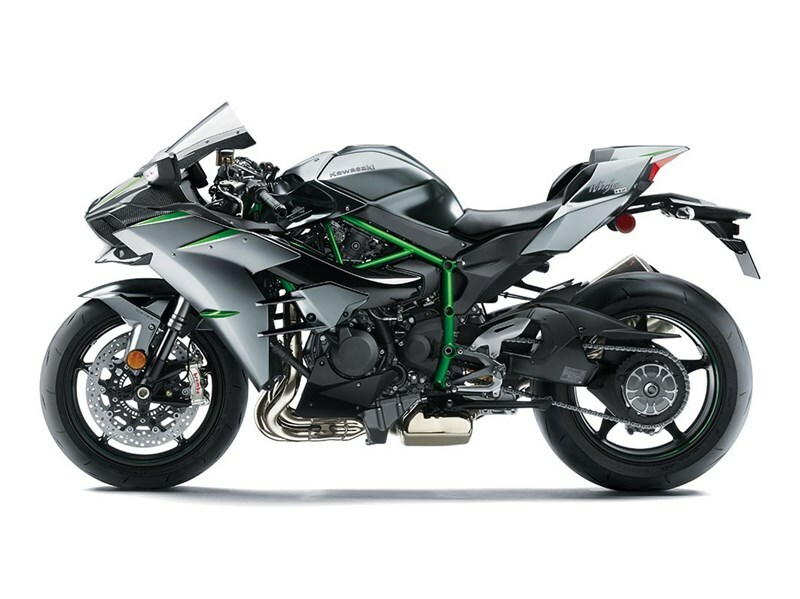 The heavy growl of the boosted liter-class engine is a sound the streets won't soon forget. 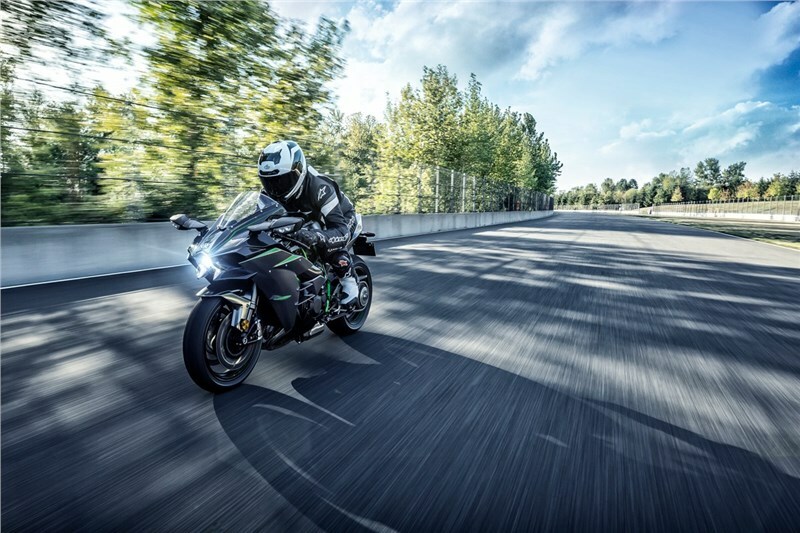 PREMIUM PERFORMANCE The massive power of the supercharged engine necessitates a multitude of high-performance components to ensure an unforgettably effortless, yet forceful experience. 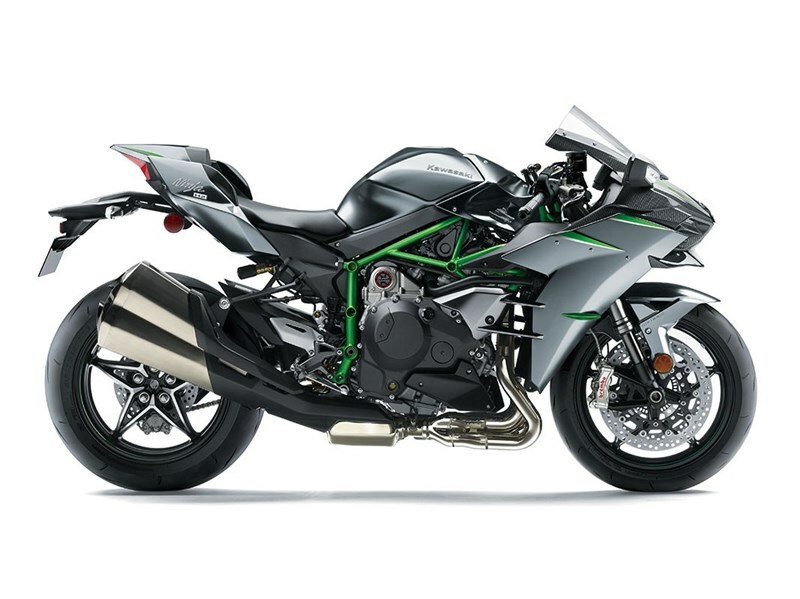 KTRC • Whereas many competitive traction control systems react to wheel-slip, this IMU-enhanced feedback version of KTRC predicts conditions and acts before slippage exceeds the range for optimal traction • 9 modes allow riders to dictate to which degree KTRC intervenes during riding. 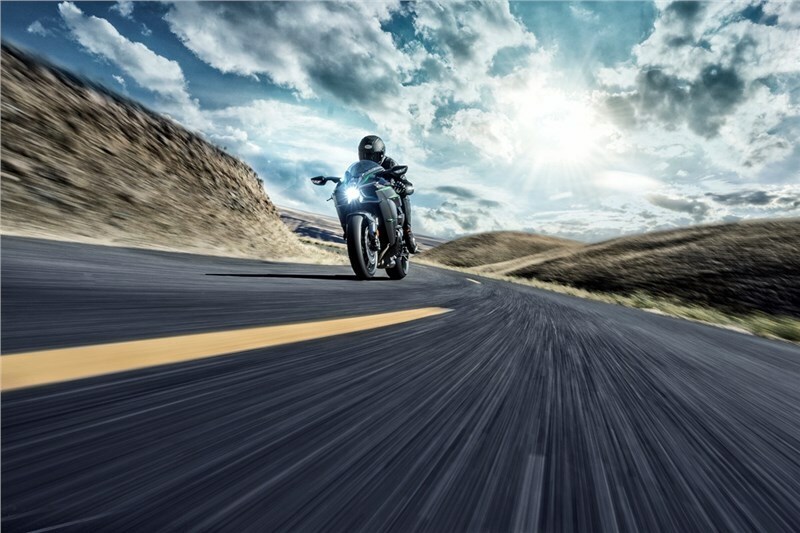 KTRC can also be switched off completely • Modes 1-3 are optimized for track conditions, Modes 4-6 for the street, and Modes 7-9 for wet pavement conditions, a rain mode is also available.